Traders who use profiling as part of their trading systems are more confident in the decisions they make. They perform better and they take more profits. We help active traders learn to profile, make better decisions and take more profits through one of our trading education plans. Whether you want self-directed learning, group learning or one-on-one development...... we have a plan for you. Profiling is a way of arranging market generated information to help discretionary and system traders make better decisions. Profiling originated on the floors of commodity markets. It was the tool professional floor traders used for decades to understand how the market was behaving and where it was likely to go next. Today, electronic traders use the profile to graphically see market behaviors that are no longer seen on trading floors so that they can position themselves to take advantage of the favorable conditions these behaviors create. Not quite ready to dive into one of our development plans? 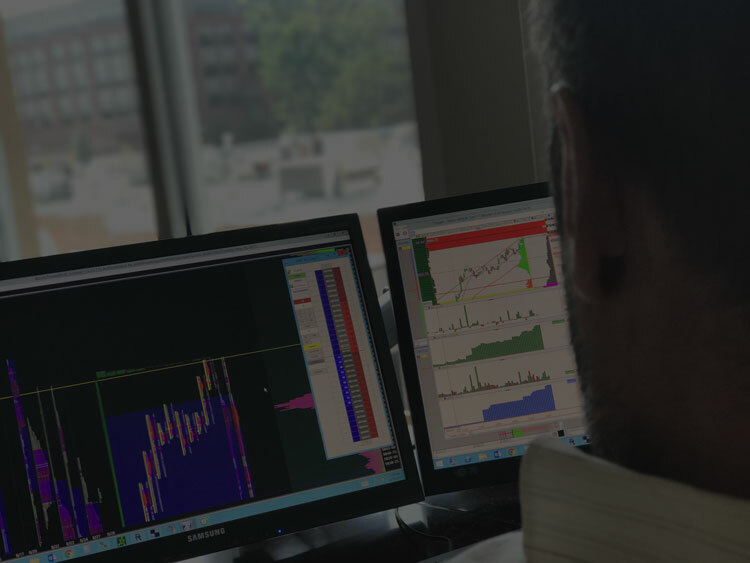 Get your profiling education started with this FREE 9 lesson e-course designed to translate what you already know into better trading decisions. BUILD TO WIN! BUILD TO LAST! Are you a trader or investor? What products should you trade? What types of strategies should you use? How can you gain enough skill so that you don’t waste lots of money on trading education that doesn’t work? Our BUILD2PROFILE course is your on-ramp to build a foundation for trading success! After you’ve taken our free course, this 12 module, self-paced video course should be your next step in developing trading skill!! Many traders look to profiling because they believe it can reveal aspects of markets that they are missing. They are certain profiling will help them make better trading decisions, but getting started is often daunting. We remember what it was like when we first got started with the profile. We had the tools, but we lacked the methodology needed to unlock its potential. Our PROFILE TRADING Development Pathway is our systematic and immersive curriculum focused around 3 objectives we believe successful profile traders need to achieve to be successful. This process is at the heart of our immersive education program. Our PROFILE TRADING Development Pathway is the anchor of our immersive education plans trading skill development in the trading product of your choice.